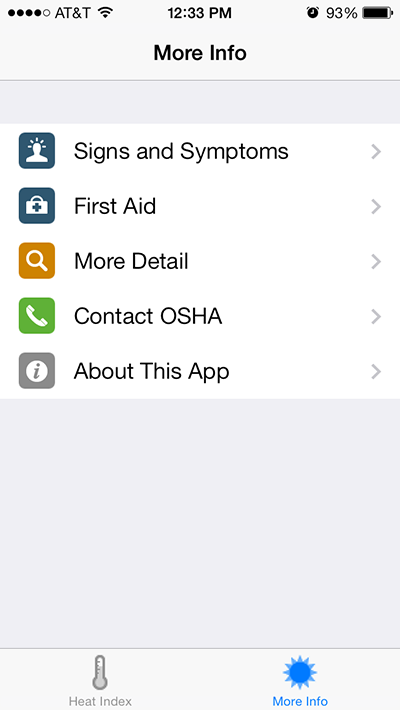 The Heat App keeps workers actively on the job safe while allowing them to work in uncertain conditions. 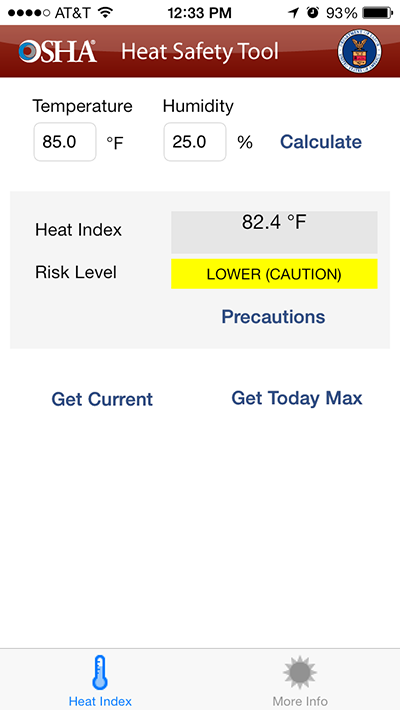 Anytime a worker is unsure of the current work conditions they can simply open the app and get the current Risk Level based on tempature, humidity and Heat Index. 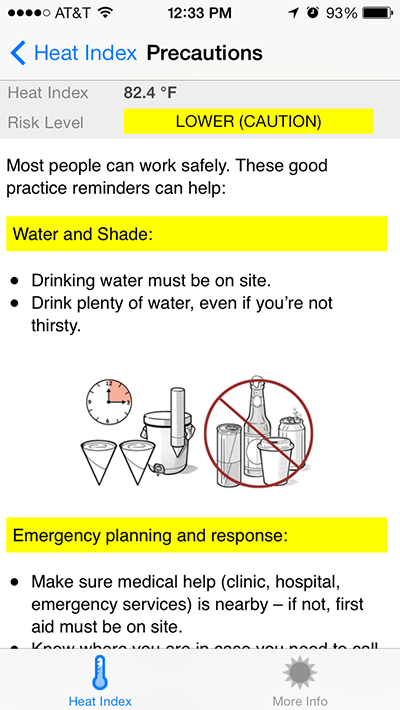 Keep workers actively out in the elements safe and hydrated while offering tips and limitations based on the current Heat Index and Risk Level. The app utilizes Weather.com JSON API to determine the current weather conditions at the workers location. 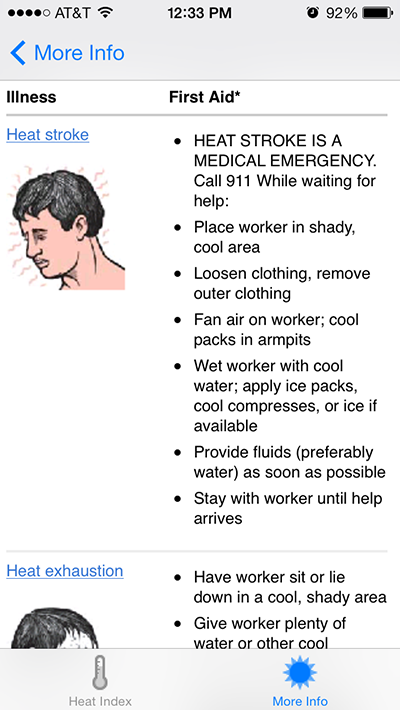 However if cell service is unavailable the worker can manually enter the current tempature and humidity.